A funny thing has happened in the United State over the past 50 years, which on the surface is good, but for a growing segment of the population is adding an additional stress in their life. Due in a large part to vast improvements in medicines and treatment, the median life expectancy has been steadily increasing, adding about one half year of life expectancy to the population ever two years. So, in 1959 the median life expectancy was under 70, now, it is 83. At the same time, Americans on average have been holding offer getting married and starting a family well into the late twenties or early thirties. As a result, the generational gap between grandparents and grandkids has grown from 20 years to now 30. Elder care services are becoming an ever-increasing need as baby boomers continue to retire at an alarming rate. Combining the fact that the elderly are living longer, and individuals are holding off having children until they are older, a new dilemma has developed for individuals between 38 and 55. Many of these adults are becoming part of the what is referred to the “sandwich” generation. This is where an adult has to not only take care of their children, but one, two, three or even four parents dispersed across the country which they are also taking care of. Accounting to a 2013 Pew Research report, nearly half (47%) of adults in their 40s and 50s have a parent age 65 or older and are either raising a young child or financially supporting a grown child (age 18 or older). And about one-in-seven middle-aged adults (15%) are providing financial support to both an aging parent and a child. Combine the fact that most adults in America do not live within 100 miles of their aging parents, it becomes obvious that this trend is adding stress to when elderly parents get ill or need care. As a fallout of this growing trend, when the parents of a working adult become ill or need assistance, presently that working adult child will need to leave and take extended time away from work to deal with the situation. The average time away is one week, and sometimes stretches into three weeks! In most cases, these individuals will likely have to continue to visit their aging parents for extended periods of time for the next 5 to 15 years. The reason why individuals have to take time off, is that up until now, there was no “on-line” way to get reliable geriatric care. As stated earlier, most adult children do not reside close to their aging parents, and as such, have to schedule time to travel in order to arraign for care from a private duty agency, which includes interviewing the agencies, developing a care plan, and signing contracts. Not only is there an impact on work, there is also a financial impact on these adults. According to a recent AARP study, 30 percent of family caregivers dip into their personal savings to cover long-term care costs, 16 percent reduce contributions to their retirement accounts, and about half cut back on leisure spending in order to help take care of their parents. The tough reality is that many families are not rich enough to afford the staggering cost of private duty long-term care. Yet at the same time, they do not qualify for Medicaid, a health care program for low-income and disabled adults. So, it is nice to have a lower cost alternative to the high priced private duty agencies, that also delivers a superior service like Well Beyond Care. Many adult children who are looking to care for their elderly parent find in home care services a better option than having to place their loved ones in assisted living facilities or nursing homes. There are a number of factors influencing this specific preference. Topping the long list would be the fact that the elderly careseeker remains it the familiar confines of their home. This gives family and friends more peace of mind knowing that they can more readily get in touch with person receiving care. Even though the cost of in home caregivers has increased, it is still more cost effective than placing a loved one in a nursing home or an assisted living facility, making it a more practical choice. The hourly cost involved with hiring a caregiver from a private duty agency varies since costs are based on several controlling factors. When you hire a caregiver using a private duty agency, the needs of the careseeker should be the primary consideration. Another important factor to consider is the number of hours that the patient may require assistance, since overtime rates or minimum hour charges may apply when using an agency. Additionally, the skill set required, experience, and certifications of the caregiver will also contribute to the rates you may have to pay for the type of caregiver you receive. Geographical location is another factor as rates vary from one city to another, and one region to the next. According to the Genworth 2015 Cost of Care Survey, the national average hourly wage for home caregivers is at $9.31 per hour. However the costs are higher when going through an agency due in large part to their overhead. For example, an agency may charge $21.50 per hour for an entry level caregiver. This cost may include salary, healthcare, uniforms and other employee related expenses such as training and having a business office. Costs for more experienced caregivers will increase based on skill set, certifications and years of experience. These are the costs you can expect to find as you conduct your caregiver search. Most caregivers these days are working for a private duty agency as it has been traditionally the only avenue for them to find careseekers or to get continuous work. Families requiring home caregivers may have the expectation that the quality of service from the caregivers supplied through agencies is expected to be higher, since most people assume agencies have minimum standards and state implemented rules and regulations for their caregivers. While this might be the expectation, due to the low wages paid to caregivers at most agencies, they usually experience as much as a 50% turnover rate of caregivers in any given month. According to a 2014 Benchmark Study published by Home Care Pulse and sponsored by the National Private Duty Association, average caregiver turnover rate for all home care companies increased from 46.2% to 49.8% between 2010 and 2013, and has increased yet again to 52.9% as of 2015. This high turnover rate is not conducive to creating a stable care environment in the home, and companies like Well Beyond Care are trying to rectify this with offering higher salaries for caregivers while reducing the costs paid by families looking for care for their loved ones. In addition, when a careseeker has more say in the screening and hiring of a caregiver, there is a dramatically reduced incidence of caregiver turnover. Caring for patients with Alzheimer’s Disease (AD), resulting in dementia, can be a demanding experience due to their changing behavior. Every day brings new challenges and difficulties. A caregiver should have an effective plan in place to help them care for elderly patients suffering from Alzheimer’s. Handling a person with dementia caused by onset Alzheimer’s disease or finding out that a loved one has Alzheimer’s disease can be stressful, challenging and frightening. Alzheimer disease is a progressive neurological disorder, affecting long and short-term memory, thinking skills, and human behavior. AD patients will forget how to perform basic daily tasks, but they also forget familiar people and places. Caring for a person with AD can become frustrating at times, but it is also extremely important because Alzheimer’s patients cannot usually care for themselves. Because our aging loved ones typically have such a hard time recognizing their surroundings, especially new ones, it is often recommended that patients stay living at home as long as possible rather than moving to a nursing home or assisted living facility. The benefit of hiring a caregiver directly is that you can select the person you like the best, has the appropriate dementia training, and who is the best fit for your family. Hiring someone directly is usually cheaper than hiring through an agency, and it is typically orders of magnitude less expensive than placing them in a nursing home. The Internet makes it very easy to find an appropriately skilled caregiver near you. Using a fully integrated online service to hire a caregiver for your loved one is a new way to be matched with the best skilled caregivers, who are reliable, have a well-matched temperament, are verified, and affordable. Well Beyond Care makes hiring a caregiver simple and easy, allowing you to maintain control of your care needs or the care needs of a loved one. As a caregiver, it is vital to learn as much as possible about Alzheimer’s disease and what to expect from an elderly patient with Alzheimer’s, including taking as much training on AD and dementia as is available. When possible, caregivers should learn about the elderly patient’s history and family. Surrounding the patient with items that remind them of their past or photographs or their loved ones may be beneficial to the patient. 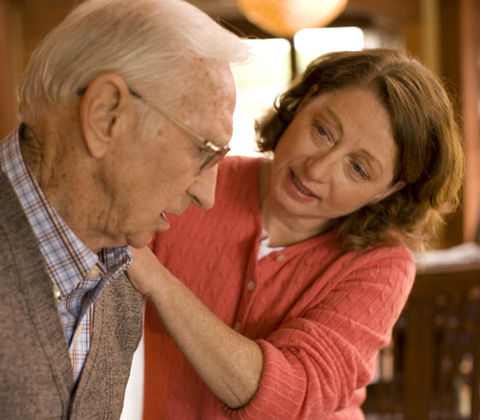 A caregiver should not feel guilty if the patient is upset or confused. Always keep in mind that many behaviors associated with patient are due to the disease. Try to focus on their positive moments and good memories. Keeping a positive attitude will make helping the patient work through difficult times easier. Engage the patient with games and books. Place more focus on having fun with the games rather than the patient’s illness. Entertain patients with interesting books to promote active listening. Choose lively TV shows with simple story backgrounds to keep the patient occupied. Play familiar music that the dementia patience likes to listen to. It has been shown that music is one of that memory functions to deteriorate with dementia. Well Beyond Care provides the tools that help you plan care and allow your loved ones to safely age in place. It is the only company that teaches families and individuals how to find and manage affordable non-medical in-home care, while solving the chronic problems of caregiver truancy and turnover. Our platform combines the power of the internet with the personal touch of nurses to offer families a pathway to transitional care, allowing our elderly parents to safely age-in-place. This solution lowers stress in hiring a caregiver and saves families tens of thousands of dollars per year in care costs. Its online system combines the best in Caregiver matching (searching, screening, ratings & hiring) with all the back-office functions (time worked, payroll, scheduling, and notifications) to ensure safe, reliable, dependable, affordable care is obtained. It is the only company that gives each Careseeker access to their own local, personal nurse to help guide them through the hiring process. The Careseeker’s nurse provides advice on healthcare options and aids with transitional care. Due in part to the fact that Americans are living longer, there are now over 70 million baby boomers who are now dealing with the reality of having to care for their aging parents or grandparents. Supplying geriatric care needs can affect these individuals on many different levels. Impediments such as arthritis, high blood pressure or increased blood sugar levels are just a few of the concerns that may require the attention of someone taking care of an elderly person. In addition to these medical conditions, incontinence and immobility may be additional burdening concerns, as well as comorbidities such as COPD (Chronic Obstructive Pulmonary Disease, CHF (Congestive Heart Failure, and Dementia. With this in mind, aging adults may need the assistance of geriatric care professionals, in conjunction with skilled caregivers, in order to afford a safe, healthy, stress free environment for their loved ones. Today, a number of geriatric care options exist for concerned baby boomers to choose from. There are nursing homes, assisted living facilities (ALF), independent living facilities, and in-home care service providers. Depending on the extent of service and assistance necessary, any of these geriatric care options could be a viable solution. While nursing homes and assisted living facilities may be more convenient for the responsible family member, these sorts of geriatric care options may also be cost prohibitive. According to Genworth’s 2016 Cost of Care Survey, the average cost of private nursing home care in the US is now $92,345 per year (or $235 per day). Assisted living facilities usually charge less, while in-home care is the least expensive option with flexible payment rates that can vary depending on the skill set and time required for the patient’s care. Aside from these usual geriatric care options, there are those who choose to offer care for their elderly parents or grandparents personally. They are classified as “informal caregivers”, and provide in-home care for their loved ones without formal training or education in geriatric care. While this setup may be motivated by very noble causes, the physical, emotional, and psychological pressures associated with this kind of arrangement could become a very large burden for someone to assume. In addition to the pressure of caring for an elderly person, there may also be some legal implications if you cannot provide the level of appropriate geriatric care needed for your elderly relatives. Just recently, prosecutors from the State of Pennsylvania charged an “informal caregiver” with allegedly committing “assisted suicide” to his chronically ill and aged father, in spite of the personal requests to end his life due to the fact the father felt an undue burden was being placed on his child. It is important to note that taking care of the elderly requires tremendous amounts of dedication, care, and caution on a daily and ongoing basis. How Can I find the Best Caregiver for my Parents? More than ever, we live in a long-distance society and finding the best caregiver for your parents requires a lot of consideration. 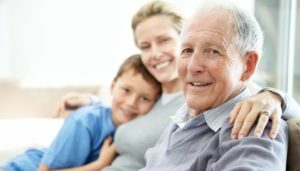 To begin with, being far away and entrusting your aging parents in the hands of others may be a tough decision, but knowing that they are in the good hands of a trusted and qualified caregiver can lower stress, give you and your parents piece of mind, keep them out of the hospital, and actually prolong the length and quality of life for them. Before making any decisions, it is important to know your options in choosing the best caregiving means for your parents. 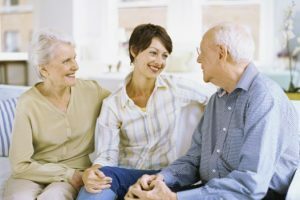 There are a number of live-in facilities offering caregiving, and it’s up to you to decide which option best suits your parent’s individual caregiving needs. It is vital that you get to know each healthcare facility and what they have to offer, which will allow you to decide whether or not you are making all the right decisions for your folks. It is advisable at this juncture to try and locate a healthcare professional who knows the good versus poor facilities in your area. You might be shocked at the exorbitant cost of housing your parents in a healthcare facility, and may decide that hiring a in home private caregiver is actually the best option. In most cases, having to leave one’s home to move into a nursing home or assisted living facility gives elderly patients unnecessary anxiety and stress. 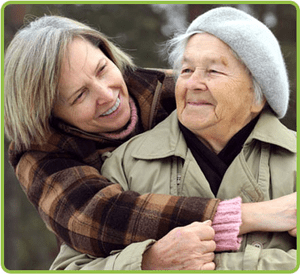 Alternatively, hiring an in-home caregiver to come take care of your parent in their home where they are comfortable and familiar alleviates this stress. They can get the same health care and assistance they require from the comfort of their home through personalized home health care services. There are a number of different levels of home caregiving at a varying range of pricing that you can choose from, depending on the particular needs of your parents. You can employ a geriatric care manager to help you determine which level of care or qualification your parents might need. Qualification levels include Registered Nurses (RN), Licensed Vocational Nurses (LVN), Skilled Caregivers, and Companions or Homemakers. Their qualifications and expertise may vary, but these professionals and skilled health care workers provide assistance to their elderly home care clients in their clients’ own homes. The responsibilities that these home health care professionals provide range from assisting their elderly clients undertake their daily tasks of living, such as taking a bath, using the toilet and administering medicine, to other routine activities that aging patients may need help with, such as going to a doctor appointment, grocery shopping and doing laundry. Apart from these concerns, you should also consider your budget. Hiring an in-home caregiver is typically much more affordable than nursing home or assisted living facility care. But more importantly, it is all about looking for a caregiver that offers the service that your parents require, at a rate you can afford. Hiring an individual skilled caregiver is an excellent way to save money while building a close personal relationship with a high quality care professional. But in saving money, make sure you are NOT endangering your parents by hiring an unscreened or unqualified caregiver. Well Beyond Care gives both caregivers and those who need care the tools to manage their in-home care online. Caregivers, registered nurses and geriatric care managers can use the website to be matched with Careseekers and their family members who are looking for care, set their wages and weekly schedule, receive weekly payment, and build their resume and portfolio with real experience. Careseekers, or family members looking for someone to help care for their parents or loved ones, can use the website to be matched with caregivers who best match their specific care needs, monitor their caregivers’ schedules, and make payment online and receive personal, local support from a local Nurse Care-Pair Manager. These Nurse Care-Pair Managers offer assistance in understanding what is available with care in your community as well as helping you navigate any issues you might run into using the Well Beyond Care website. Join for free today at WellBeyondCare.com. To date, over 75 million baby boomers are dealing with the reality of having to care for their aging parents or grandparents. Supplying geriatric care needs can affect these individuals on many different levels. Impediments such as arthritis, high blood pressure or increased blood sugar levels are just a few of the concerns that may require the attention of someone taking care of an elderly person. In addition to these medical conditions, incontinence and immobility may be another burdening concern, as well as comorbidities such as COPD (Chronic Obstructive Pulmonary Disease, CHF (Congestive Heart Failure, and Dementia. With this in mind, aging adults may need the assistance of geriatric care professionals, in conjunction with skilled caregivers, in order to afford a safe, healthy, stress free environment for loved ones. 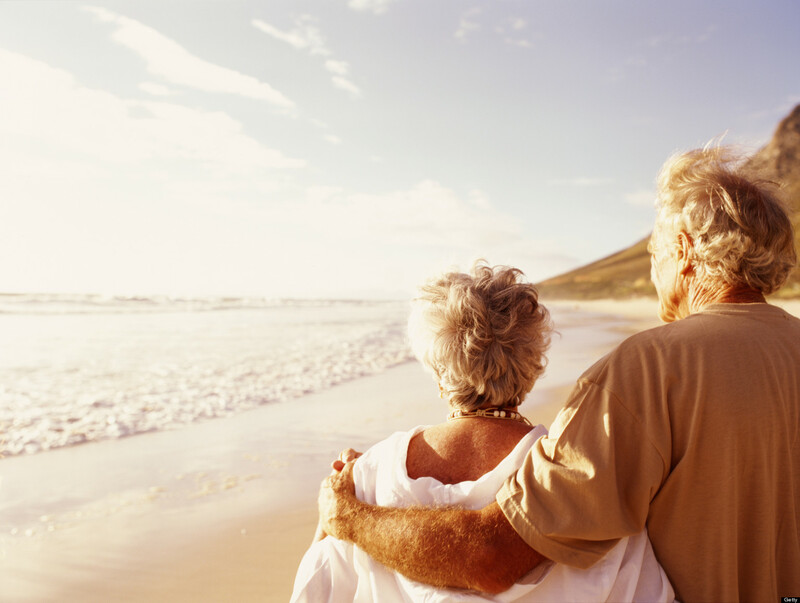 Today, a number of geriatric care options exist for concerned baby boomers to choose from. There are nursing homes, assisted living facilities (ALF), independent living facilities, and in-home care service providers. Depending on the extent of service and assistance necessary, any of these geriatric care options could be a viable solution. While nursing homes and assisted living facilities may be more convenient for the responsible family member, these sorts of geriatric care options may also be cost prohibitive. According to the Genworth Cost of Care study, nursing homes can cost up to $6,390 per month. Assisted living facilities usually charge less, while in-home care is the least expensive option with flexible payment rates that can vary depending on the skill set and time required for the patient’s care. Aside from these usual geriatric care options, there are those who choose to offer care for their elderly parents or grandparents personally. They are called “informal caregivers”, as they provide in-home care for their parents or grandparents without formal training or education in geriatric care. While this setup may be motivated by very noble causes, the physical, emotional, and psychological pressures associated with this kind of arrangement could become a very large burden for someone to assume. In addition to the pressure of caring for an elderly person, there may also be some legal implications if you cannot provide the level of appropriate geriatric care needed for your elderly relatives. Considering the challenges and dilemmas baby boomers face regularly while fulfilling their obligations to provide geriatric care for their elderly parents or grandparents, they may still require the assistance of a geriatric care professional and a private duty caregiver, in one form or another. WellBeyondCare.com gives those who need care the tools to manage their in home care online. Careseekers, or family members looking for someone to help care for their parents or loved ones, can use the website to search for qualified nurses and caregivers, post jobs that outline their specific care needs, monitor their caregivers’ schedules, and make payment online and receive personal support, local support from their personal Nurse Care-Pair Manager. Caregivers can use the website to search for caregiving jobs, set their wages, post their weekly availability, receive weekly payment, and build their resume and portfolio with real experience. Join for free today at WellBeyondCare.com. When are Patients “Unsafe” for Home Care? Discharge planners/case managers are likely to encounter instances in which home care, hospice, and home medical equipment (HME) providers state that they cannot accept patients because they are “unsafe” at home. The use of this term may be confusing to discharge planners/case managers. What is it about patients’ homes that make it unsafe for them to receive services there? Aren’t all patients appropriate for home care? First, discharge planners/case managers may not have provided services in non-institutional settings. If so, it may be difficult to make a crucial distinction between institutional care and home health services. Specifically, in institutional settings the provider controls the “turf” on which care is rendered. In post-acute care at home, providers have little control over the environment in which services are provided. In fact, patients have almost absolute control over the “turf” in home care because services are rendered in their private residences. Consequently, home care providers often confront barriers to the provision of services that many discharge planners have not experienced. Staff have, for example, encountered “attack geese” when they arrive at patients’ homes and risk the consequences of a serious pecking in order to reach patients’ bedsides! Or they have come eyeball-to-eyeball with a pet alligator, named Bubba, in a mobile home in Louisiana! Although patients may not be adversely affected by pecking geese and may have a cozy relationship with Bubba, there may be other factors over which home care providers have no control that clearly jeopardize the well-being or safety of patients. These factors may make it impossible for providers to render services at home. Patients’ homes may, for example, be in such disrepair that both patients and caregivers are at risk. A home health nurse, for example, recently fell through the floor of a patient’s home as she approached the patient’s bedside. Patients’ homes may also be invested with roaches, rodents and/or vermin of various types and descriptions. Despite appropriate interventions from providers, patients may suffer repeated falls at home that make it risky or unsafe for them to remain there. Institutional care and home care services are fundamentally different models of care. Because the differences are so great, it is reasonable to expect that providers who practice primarily in institutions and those who work in home care may not always understand or account for important factors involved in different types of care. Clear, specific communication is, therefore, absolutely essential for the well-being of patients.